Tezos, the blockchain project backed by the largest ever initial coin offering (ICO) at the time of its 2017 launch, hasn’t exactly been able to translate its hype into success as yet. Hamstrung by series of legal woes, the open-source software, designed for blockchain governance, has spent months ironically held back by real-world challenges similar in spirit to those it was designed to overcome digitally. But after a whirlwind transition at the non-profit that oversees the software, the protocols creators and investors are moving swiftly toward a beta and a formal release. Outstanding issues remain, mostly of a legal and bureaucratic nature, but those involved say the technology is taking strides toward going live. “Nice to be back to business,” venture capitalist Timothy Draper, a financial backer of the Tezos protocol, told CoinDesk in an email. Draper is, of course, discussing that transition, during which grassroots investors became activists and completely took over governance of the Swiss foundation that controls the funds raised in its 2017 token sale. But if all of this sounds fast, that’s because it has been. In a phone interview with CoinDesk from Switzerland, Jesperson described himself as a normal rank-and-file investor, one who “came to be concerned” about the protocol’s future. Still, no one could have anticipated the impact Jesperson’s next moves would have. Indeed, at the time, Jesperson talked about T2 more as a backup plan. That solution was letting T2 board members take over the Tezos Foundation as former members stepped down. He described it as a voluntary move on the part of Gevers and fellow board member, Lars Haussmann, who had only joined the board at the end of January. Former board chair Johann Gevers did not reply to a request for comment. With the new leadership in place, Tezos has been running hard toward a release. Jesperson had to quickly relocate himself and his family from the U.S. to Switzerland, rotating through temporary housing as they sought a permanent spot. Meanwhile, he’s been working long days setting up the necessary operational structure so that a launched protocol can thrive. 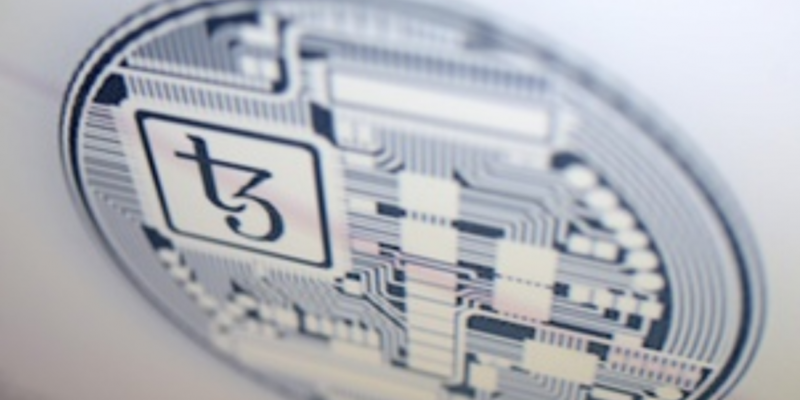 In the last week the foundation finished incorporating Tezos AG, an operational entity “that will provide basic administration and general management functions,” he said. Jesperson will have a role at both Tezos AG and the foundation. “Then of course at the same time we support any other organizations that want to be involved and support Tezos. There’s all sorts of grassroots people getting involved in their own way,” Jersperson said. The T2 Foundation, he said, is not needed any longer. Its purpose was to give Tezos a safe legal entity to launch under if needed, but that’s no longer necessary. In its most recent update, the foundation projected a Q3 public launch following a Q2 beta release. An alpha has been running for the last year, but Jesperson noted that real-world conditions are needed to really see how the technology performs. The software is going through two technical reviews now. One by Inria, a French technical institution focused on computer science. Tezos was built in the programming language OCaml, which was created at Inria. The other is a security review by Least Authority, a company originally founded by Zooko Wilcox-O’Hearn, who currently runs zcash. “Arthur and I never wanted this to be the Kathleen and Arthur show. We think there’s a lot of wisdom in the crowd. And what’s nice about Tezos is that it’s so agnostic that anyone can propose an upgrade to the protocol,” Breitman said. “I remain excited about the great opportunities Tezos provides, and look forward to getting the first version shipped,” Draper said. Fortunately for all stakeholders, the team building the protocol didn’t stop their efforts during the upheavals.